This versatile potato salad is the perfect side dish to serve at any occasion. Combine vegetables and eggs in large bowl. Garnish with 1/4 cup chopped green onions before serving. 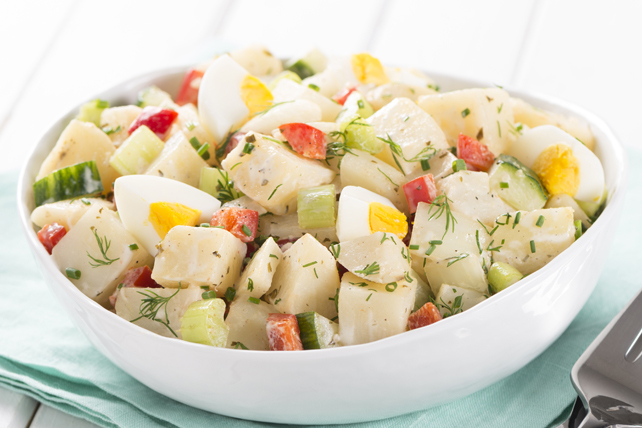 This flavourful potato salad can be refrigerated up to 24 hours before serving.